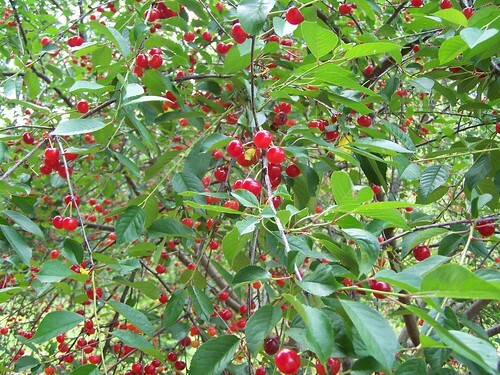 What a blessing to get the cherries. That is one fruit tree that we don’t have on our place. Have a great day. I just hung a load up outside. The wind should dry them quickly. 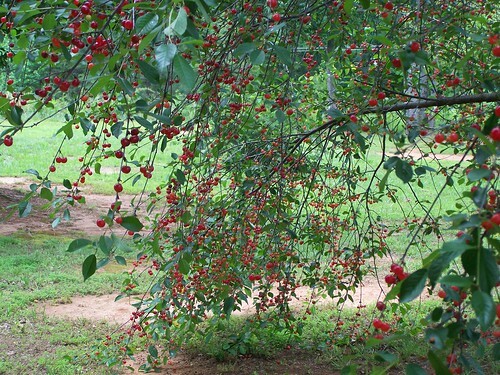 Those cherry trees are loaded and so, so beautiful. 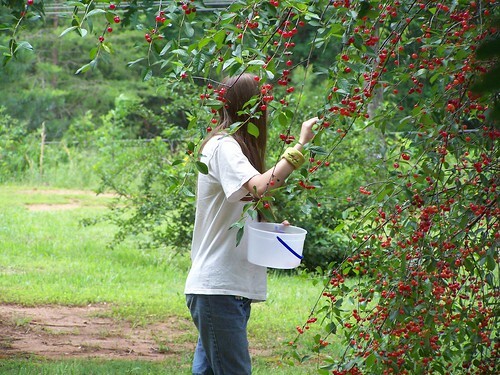 Looks like a lot of cherry picking fun! The cherry juice must have been so yummy! Today was a great day for drying clothes. I was able to dry four loads and you know how little line space I have. Those cherries look awesome.. So many.. I am glad you had a good visit with your daughter. Our daughter is in Florida until Friday on a vacation. Your site was beautiful and I enjoyed reading all your thoughts!! Makes me sad though that the rest of the world can’t slow down to appreciate all God’s wonders that he blessed us with …You are so Blessed! !